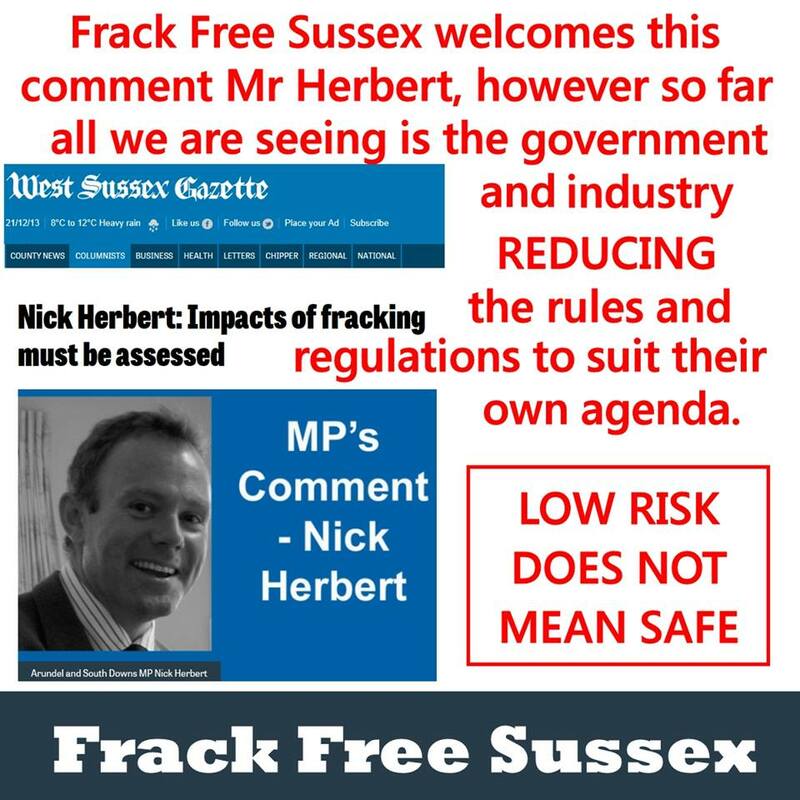 MP for Arundel and South Downs Nick Herbert says "If fracking is to happen, the impacts on water, traffic and landscape must be properly assessed, and sites chosen sensibly." Why then is the government not ensuring MANDATORY Environmental Impact Assessments will take place during the exploration phase? Balcombe residents visit No 10.